The Hurt Locker meets An Inconvenient Truth, THE AGE OF CONSEQUENCES investigates the impacts of climate change, resource scarcity, migration, and conflict through the lens of US national security and global stability. Whether a long-term vulnerability or sudden shock, the film unpacks how water and food shortages, extreme weather, drought, and sea-level rise function as accelerants of instability and catalysts for conflict. LOST IN LIGHT is a short film on how light pollution affects the view of the night skies. Shot mostly in California, the movie shows how the view gets progressively better as you move away from the lights. The night skies remind us of our place in this Universe. The Universe gives us identity, makes us feel a connection. But thanks to light pollution, most people lack this connection. Millions of children will never see a sky full of stars. We owe to our future generations to preserve this natural beauty. SEED: THE UNTOLD STORY follows passionate seed keepers protecting our 12,000 year-old food legacy. In the last century, 94% of our seed varieties have disappeared. As biotech chemical companies control the majority of our seeds, farmers, scientists, lawyers, and indigenous seed keepers fight a David and Goliath battle to defend the future of our food. In a harrowing and heartening story, these reluctant heroes rekindle a lost connection to our most treasured resource and revive a culture connected to seeds. Every day our changing climate pushes us closer to an environmental catastrophe, but for most the problem is easy to ignore. David Hallquist, a Vermont utility executive, has made it his mission to take on one of the largest contributors of this global crisis-our electric grid. But, when his son Derek tries to tell his father's story, the film is soon derailed by a staggering family secret, one that forces Derek and David to turn their attention toward a much more personal struggle, one that can no longer be ignored. GRAND TETON is the culmination of nearly a month spent filming in the spectacular Jackson Hole Valley and the Teton Mountain Range. Encompassing nearly 500 square miles, Grand Teton National Park boasts an awe-inspiring array of pristine wilderness, glacial lakes, winding rivers, diverse wildlife, and the magnificent Teton Range. Journey with More Than Just Parks as we explore a land dominated by towering peaks, apex predators, and majestic beauty. This is Grand Teton. In DEATH BY A THOUSAND CUTS, Eligio Eloy Vargas, alias Melaneo, a Dominican Park Ranger in the Sierra de Bahoruco National Park was found brutally murdered by machete. At the time, he was believed to have been on patrol investigating an illegal charcoal production site often run by Haitians coming across the border into protected Dominican forests. This murder becomes the metaphor for the larger story of increasing tension between Haiti and the Dominican Republic over illicit charcoal exploitation and mass deforestation: the alleged murder weapon itself being the same tool used to chop down Dominican trees by the thousands. 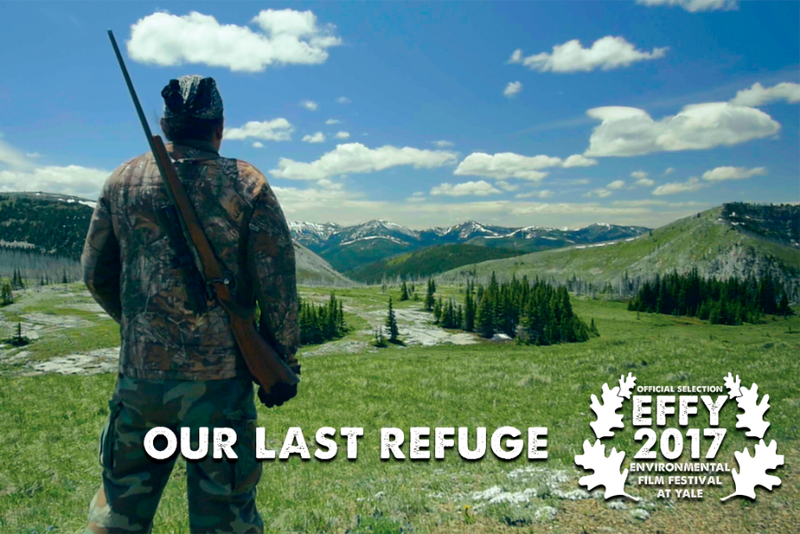 OUR LAST REFUGE tells the story of the Badger-Two Medicine, the sacred homeland of the Blackfeet Nation of Montana, and the decades-long struggle to protect it from oil and gas exploration. The film chronicles the epic saga of this unique landscape, stretching back millennia, and the current legal challenge, the outcome of which could determine the fate of sensitive and sacred lands nationwide. One of the highest profile conservation struggles in recent history, Our Last Refuge is the first in-depth telling of this critical story at a moment in time when the stakes are at their highest. Already stressed due to ongoing pollution and water degradation, Alabama oyster populations were hit hard by the BP oil spill while ongoing oil and gas exploration and the potential for future spills leave them vulnerable. In this short animated film, we trace the impacts on the ecological power of oysters as the herald of our Gulf, telling us whether our oceans are healthy or in peril.